Lok'nStore has self storage centres in many other locations, the closest being Riverside Retail Park or Wellingborough. Our location at Quorn Way, Grafton Street Industrial Estate, is just under 1 mile from Northampton General Hospital, and 2 miles from The Cobblers Sixfields Stadium. Students: This store is ideal for students studying at Avenue Campus which is just 1 mile away and also University Park Campus which is only 2 miles. Lok’nStore at Quorn Way, Northampton, will provide you with secure, low cost, affordable self storage in a modern facility. Situated at an easy access location at the junction of St Andrews Road (A5095) and Grafton Street (A428), Lok’nStore Northampton Central opened in July 2008, becoming its 2nd in Northampton – the other being at Riverside Retail Park. 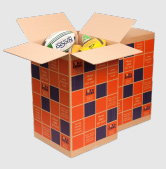 With over 400 storage units, in a range of sizes, from small 20 sq ft lockers that would be enough room for a couple of suitcases or 8 medium Lok’nStore boxes, to huge 1,200 sq ft areas for pallet and warehouse storage, we are sure to be able to solve any problem - householders, businesses and students are all welcome at Lok’nStore. Lok’nStore at Quorn Way serves household and business customers, and students from: Northampton, Bugbrooke, Weedon, Duston, West Haddon, Spratton, Kingsthorpe, Brixworth, Market Harborough, Daventry, NN1 - NN5 and Northamptonshire. 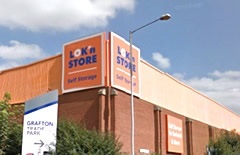 What does storage at Lok'nStore Northampton cost? Our prices for self storage are the lowest in Northampton. We know this because we check our competitors prices regularly and then set our prices below theirs. Self storage prices at all our storage locations vary depending on your choice of payment method, how big the space is that you need, and also how long you need to, or want to store with us - at our Lok’nStore you can stay from just 1 day, to forever, it’s up to you. For a ‘quick quote’ for self storage in Northampton, click the green ‘Get a quote or book’ button to the right. 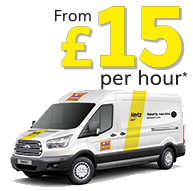 You can also ring our stores in Northampton, or pop in anytime during our 7 days a week opening hours, to get a quote for our self storage. All Lok’nStore prices include VAT. Office space. Businesses in Northampton can also take advantage of the low cost office space available at this facility. 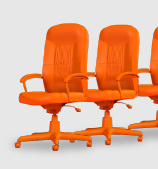 With no rates or utilities to pay, no long-term commitments, and free parking all from just £5 per day we guarantee you won’t find more cost effective office space anywhere in Northampton.